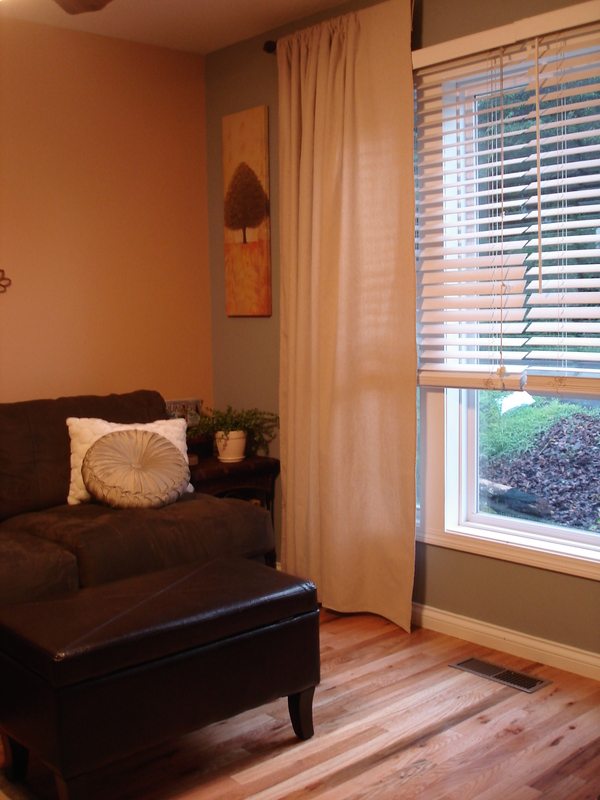 I finally got around to creating another pair of drop cloth curtains for the living room. If you’re having a similar love affair with this oh-so-textured linen knock-off, check out your local Home Depot or Lowes for what’s called a “bonus” or “contractor pack” of the 6’x9′ variety. It’s literally 2 for the price of 1. 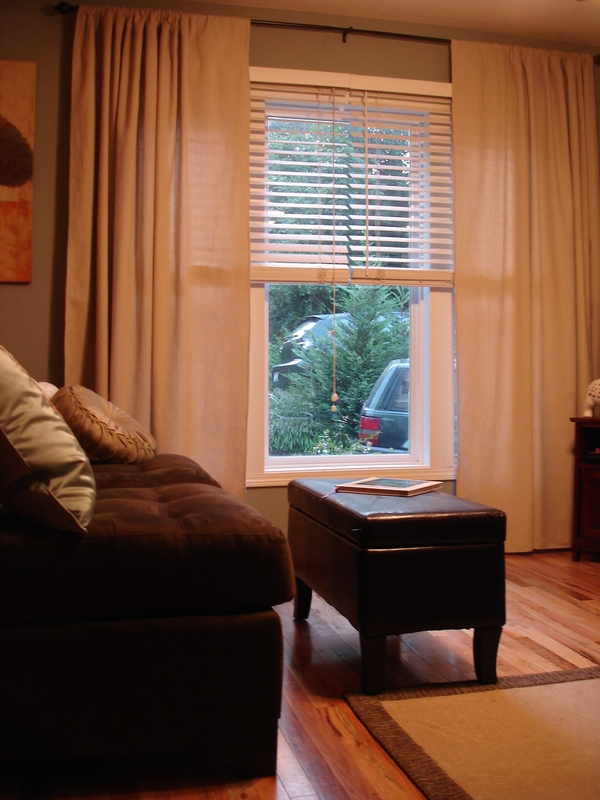 So for $9.97 in fabric and a $12.99 (86″-120″) curtain rod from Ross, we now have a gorgeous, custom pair of curtains dressing our living room picture window. But, before I reveal the new look, let’s check out the totally blah old look. And now, the dramatic after. You’ll also notice we added a storage ottoman to round out our living room furniture. It’s great for keeping those throw blankets or quickly stashing items out of Millie’s reach on the way out the door (she loves books). I love these! I want to do some for my bare windows all over my house. I love your ideas! do you have to hem them?